IT Strategies recently reported perspectives from the Digital Packaging Summit, an invitation only event by NAPCO Media and Engage sponsored in part by Fujifilm. The report noted that “there is a big squeeze by consumer goods manufacturers on packaging converters to reduce lead times on procuring print.” The report went on to comment that those same consumer goods manufacturers are evaluating converter capabilities and are looking for converters who can provide leaner packaging manufacturing. We continue to hear feedback that customized packaging is growing and that this demand is characterized by the need for shorter run lengths and faster turnaround times. Additionally, commercial packaging printers are challenged to produce a growing number of short run specialty packages for local markets, as well as test marketing and boutique products which are by definition lower quantities than mass merchandised products. These market dynamics continually push printers of folding cartons to strategically think about their production methods and equipment investments to provide leaner packaging manufacturing. 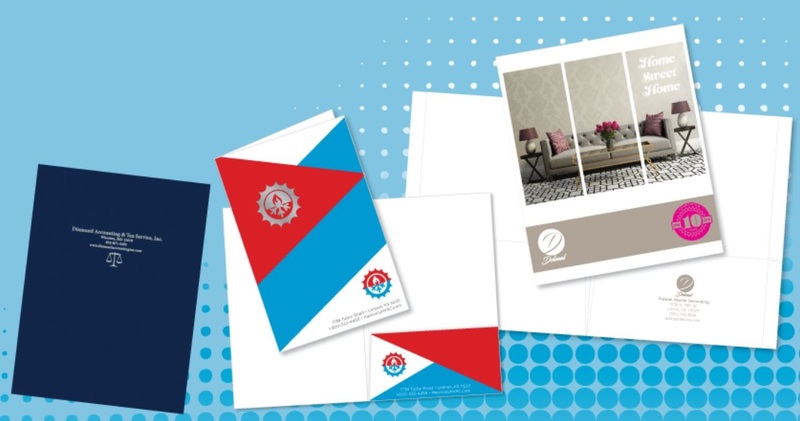 Pocket Folders Fast, a print service provider that produces a broad range of pocket folders and short-run digital packaging is one company that has strategically positioned their operations to seize this market opportunity by providing leaner packaging manufacturing. Central to their lean manufacturing strategy was an investment in two Fujifilm J Press 720S digital inkjet presses. Pocket Folders Fast offers several advantages to folding carton package print buyers with their J Press 720S. Faster production: Because it eliminates the need for plates and its inks do not require special coatings or treatments, the J Press 720S typically doubles the number of jobs that can be produced per shift compared to a traditional offset operation. Lower quantities: Packaging customers look to keep lower inventory levels to avoid obsolescence and therefore request shorter runs. As a production digital inkjet press with an ideal size format for folding carton jobs, the J Press 720S eliminates costly set-up and plate making so that smaller jobs are more cost effective. Smaller print runs equal less inventory and even a print on demand model. Because the J Press 720S requires zero plates and make readies, along with its flexible format size of 20.9” x 29.5” and superb color consistency, inventory obsolescence and waste are eliminated. Color quality and consistency: With short runs and on-demand printing jobs, the need for color consistency is imperative. Unlike any other platform in the industry, printers can rely on the J Press 720S to deliver consistent quality and color for jobs that are run on the same day, the same week or even months apart from each other. This same truth holds for jobs printed on different J Press 720S presses. Variable data proficiencies: Along with shorter runs, customers also demand variable printing that can only be accomplished with a digital press platform. The J Press 720S can seamlessly run jobs with back-to-back differences such as unique UPCs on packaging. Pocket Folders Fast has been able to boost production, color quality and consistency, and cost efficiencies with the addition of two J Press 720S presses to their growing operation. The J Press 720S solves multiple challenges for folding carton converters that are seeing the rapid growth of short run and on-demand printing.